Its tough being a nerd. Double tough being a coffee nerd. All of that coffee-related info swimming around in your brain, always increasing and swirling faster and faster as I drink more and more coffee. Ah well, everyone has their fascinations. Some people manage to get those model boats inside of bottles, other people like to solve math problems. Me? I hate math. Its all about coffee. While I’m drinking coffee I’m actually quite often thinking about when and where I will get my next coffee from. In fact, I’m thinking about that right now as I write this. Yesterday I was sitting in a café here in Toronto when I overheard someone saying something that got my attention. I was trying to concentrate on a book I was reading (Yeats), but at that moment I almost turned to them, grabbed their table, and overturned it just like in a movie, screaming “NO, IT’S NOT!” Except I didn’t do that, I just sat there, but I think my eyes narrowed to little slits and I may have snorted with derision. That’s when I realized that most people don’t see any difference between a latte and flat white coffee. 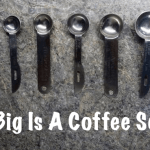 Setting my coffee snobbery completely aside, I can totally understand this, because at first glance it is hard to see the difference between your average flat white, latte, and even cappuccino, but believe me, there are differences – in fact, differences abound. 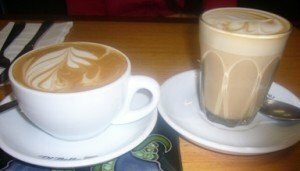 First off, when ordering a flat white coffee, what you should not get is a small latte or cappuccino, even though some have called the flat white a “short latte” or a “wet cappuccino”. It is neither. If you end up getting one of these, most likely your barista has simply not been trained to know the difference, and if you are not aware of the differences between any of these drinks, how would you know anyway? That’s why we’re here! I’ve been to cafés that try to pull this stunt on me (handing me a latte or cappuccino), and the worst part is some baristas can be so smug about it. As if to say, ‘Oh, yes, sir, here is your <cough>”flat white” that you ordered’. Meanwhile, I know they’ve made me a latte or cappuccino, because I watched them do it. Some baristas who don’t know better will even argue with you until they are blue in the face about a) the fact that you have been served a flat white when you haven’t, or b) that a flat white actually is just the same as a latte or cappuccino. It really depends where you get your coffee, and the level of expertise of the barista making the drink. Ok, so what is a flat white, you ask? 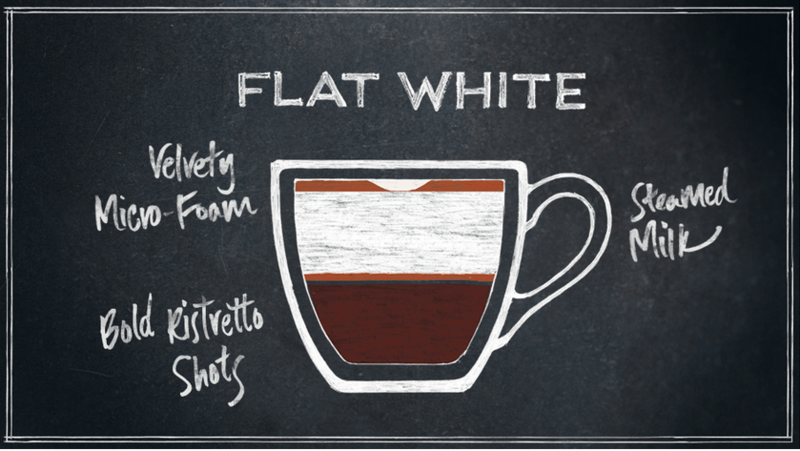 Here’s a graphic straight from the Starbucks website, giving us a rather artistic view of the flat white, in case you’re thinking of making a Starbucks-style flat white at home. Two things to note here about the above graphic – the word “microfoam”, and the word “ristretto”. The word micro-foam describes a certain type of frothed milk which is very silky but not considered to be pure froth, which has bigger bubbles and sits on top, nor is it considered to be pure liquid milk, which sits closer to the middle of the drink. In the below graphic, the microfoam would be the layer right on top of the right-hand flat white graphic. Although its labelled as “milk”, closer the top of this milky mixture is where you will find your microfoam. 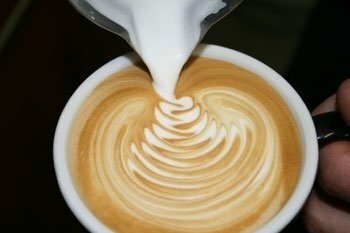 Technically, your frothing wand is introducing air into your milk and that is what makes the milk bubble. Microfoam is the part of the frothed milk mixture that is smooth like silk and which is meant to give your flat white its easy-drinking texture. This is where I may stray from what some say is a flat white, because I like my flat white to be a seamless, velvety blend of ristretto and microfoam. Even the Starbucks graphic shown above shows all of the constituents being very separate, where as I see them as being blended. 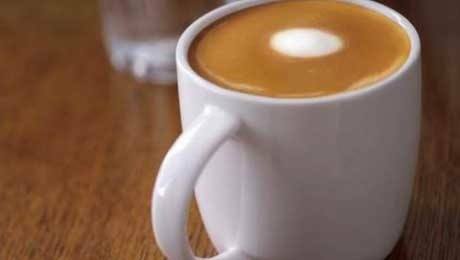 The following video by Whole Latte Love shows how to make a flat white the way I like it made. If you’re after that classic “Starbucks” flat white look / feel / taste, keep reading as we’re basically giving you the recipe for that. This is really a long form way of showing you how its done, but once you read through all of this you’ll basically be more of a barista than most so-called baristas, so we think the learning curve is worth it. Next up we have relatively quick video showing you how to get some good-looking creamy microfoam going, and at the same time simply introduce you to the texture and appearance of micro-foam if you’ve been living a micro-foamless life thus far. This gent in the following video has the right idea, and be sure to note what he says about: 1. the depth of the steam wand in the milk, 2. rolling the milk on a vertical plane as opposed to horizontally, 3. the required freshness of the milk, as these are all good pointers to look out for when trying to achieve the perfect micro-foam for your flat white. You will be using 4 oz. of steamed milk for your typical flat white, which is less than your typical latte. The other thing to note in the that Starbucks graphic we showed you earlier is the word ristretto, as in your flat white should be containing only 2 oz. of ristretto, which will be the first thing added to your cup for your flat white, with the cup itself typically being ceramic. Also, don’t forget to heat your cup up first! 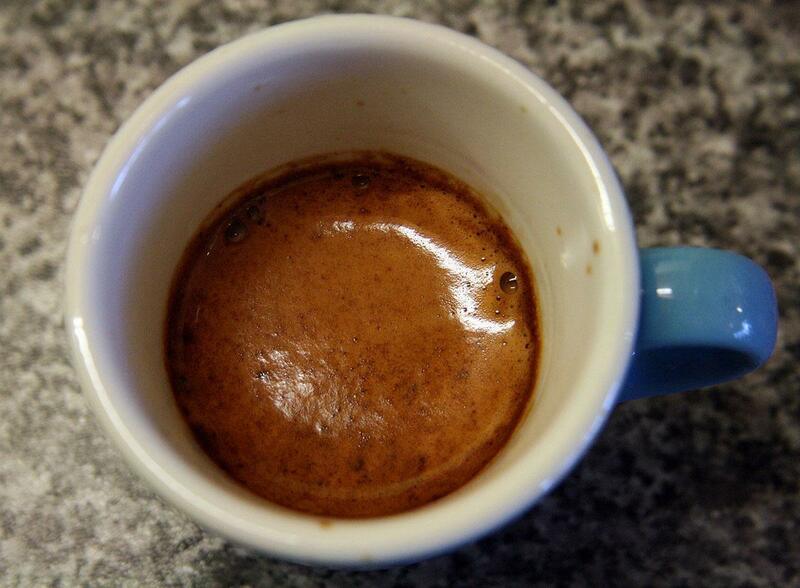 Ristretto translates as a restricted type of espresso. What does restricted espresso mean, exactly? 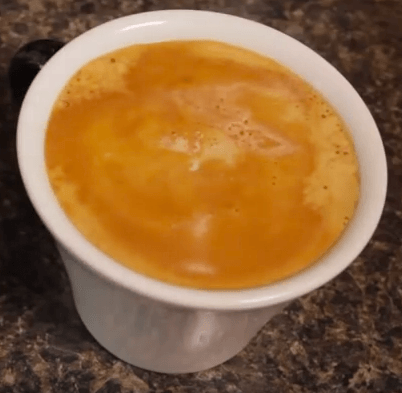 Check out this video about how to make a ristretto, and note that a ristretto is meant to be punchy and sort of… …unadulterated. Kind of like the Ice Bucket Challenge in reverse and on a smaller scale, and more about intensity than heat. Well that analogy fell apart quickly, didn’t it? 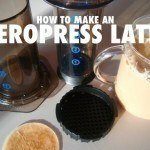 The main takeaway of this video could very well be the 13-second extraction time that he emphasizes here in the video, which gives you your desired ristretto. A ristretto does require you to be on your toes, counting the time, so you can get exactly the part of the espresso shot you’ll be needing for your perfect flat white coffee. 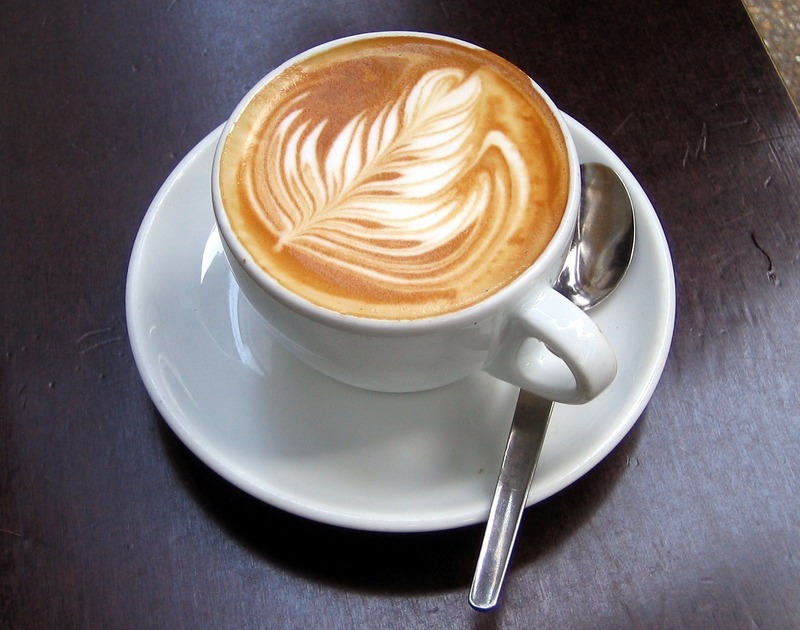 Just to recap – your flat white coffee will involve two main components – ristretto, and microfoam. Ristretto and microfoam, I feel, are both artforms unto themselves. 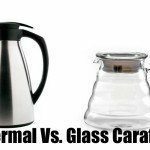 Should you can master them both, you too could be making your own flat whites yourself with the right coffee gear. Here now is a graphic of an assortment of coffee beverages, including 3 which are milk-based, brought to us from the Daily Mail in the U.K. (read an article about flat whites by the Mail Online). 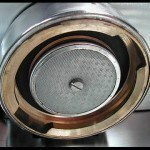 => Looking for the best coffee grinder to make a flat white? 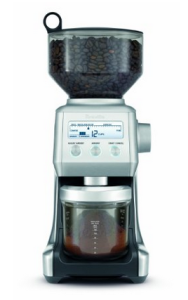 You can’t go wrong with the Breville Smart Grinder, which is a great higher end grinder. 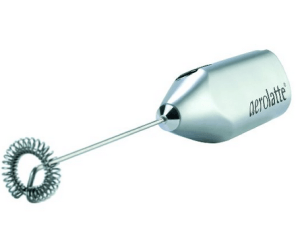 Click here to read our full review of that grinder! 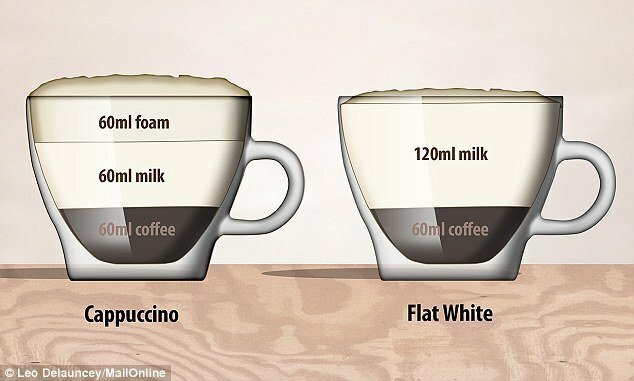 The way I see it, this graphic should somehow indicate that the coffee AKA the ristretto and the milk AKA the microfoam should be blended together to get that smooth, velvety texture that give me the flat white that I know and love. I have the same problem with the Starbucks graphic at the top of this article. The above graphic does show one of the distinguishing factors of the flat white which we can’t dispute – its smaller size. 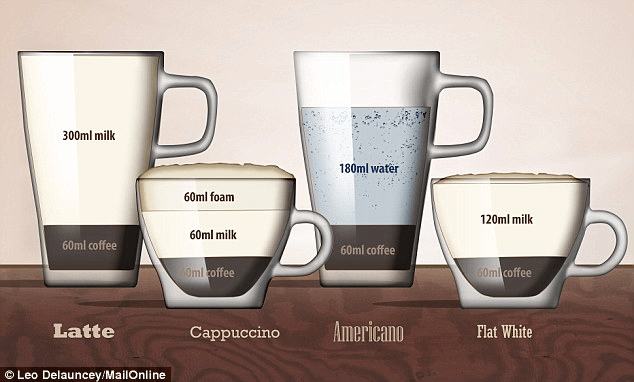 The way this graphic depicts these drinks, your average flat white actually is more likely to be confused with a cappuccino than a latte, because of their similar diminutive size and the fact that they both use 60 ml / 2 oz of “coffee” and the rest is milk. A latte too could also be confused with a flat white (and often is), as it too has 60 ml of espresso (but not ristretto) and the rest being milk. The big difference, in my mind, is that a latte just tastes like milky coffee, whereas a flat white tastes rich, bold, sweet, velvety, and positively scrumptious. 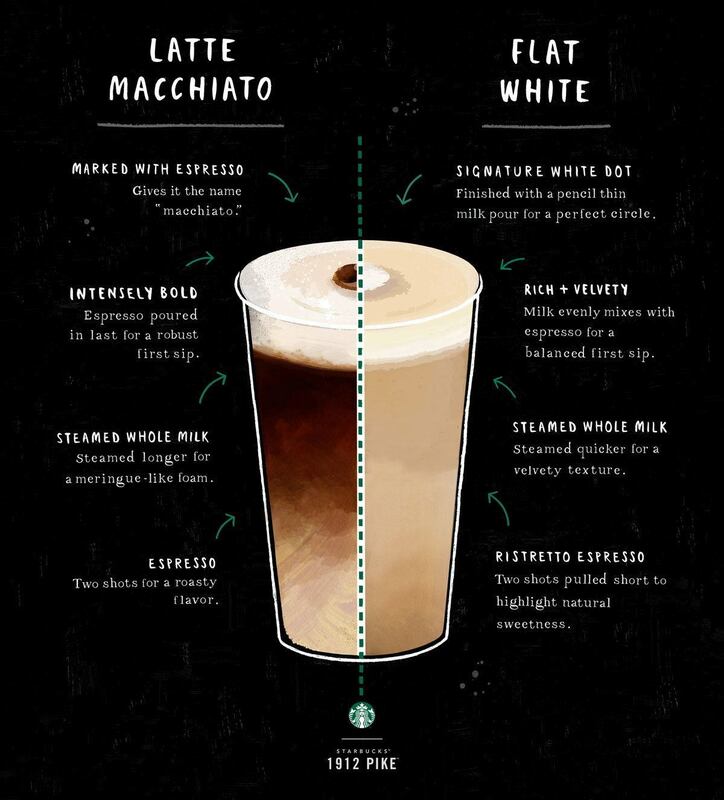 Here is another graphic showing a latte macchiato vs a flat white with the differences illustrated for us. The weird thing about this graphic is it also comes from Starbucks, but in this case, it actually blends the ristretto and the microfoam, and suits my preference a lot better. 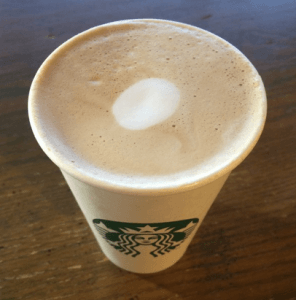 Flat White – Replacing the Cappuccino? If you read the article we mentioned a bit earlier in the Mail Online, they talk about how it is said that the flat white is basically the new cappuccino, with cappuccinos disappearing around the globe only to be replaced with the seemingly more hip flat white. Why is it hip? Well, so they say, because it was born from a more independent and free-spirited mindset of people from Australia and New Zealand (who can’t seem to agree on who came up with the name), it is seen as a drink which embodies a certain rebelliousness. Interesting… Whereas the cappuccino is looked at as though it represents the consumerization of badly-made, chain store coffee. We feel this is rather unfair to both drinks, as they are both distinctive in their own way. In fact, the cappuccino has been around since it was invented by Luigi Bezzera in 1901, so its not as though its a flash in the pan itself. That said, the trend is undeniable and certainly now in 2016 you hear about flat whites more and more as they are cropping up on café menus everywhere. As you can see in these pictures here, we have a flat white in the classic ceramic mug with the golden crema on top. This is more of a classic flat white, in that the color of the crema is exactly what we like to see with our flat whites, and it covers most of the top of the beverage. No fancy latte art here, and none needed, thanks! I must say, that golden crema is certainly a feature of every good flat white I’ve ever had, and its not something I like to have buried underneath a mountain of dry white froth. Ok, so you’ve come this far. Are you ready to actually step by step make a flat white coffee yourself? 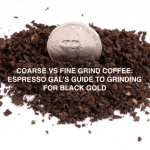 You’ve got the right coffee grinder, hopefully, and you’ve got the right espresso machine. This should be no problem at all! No dollops of anything on top and no garnishes, you hear me?